This is the last of my halloween looks this year and definitely one of my favs! 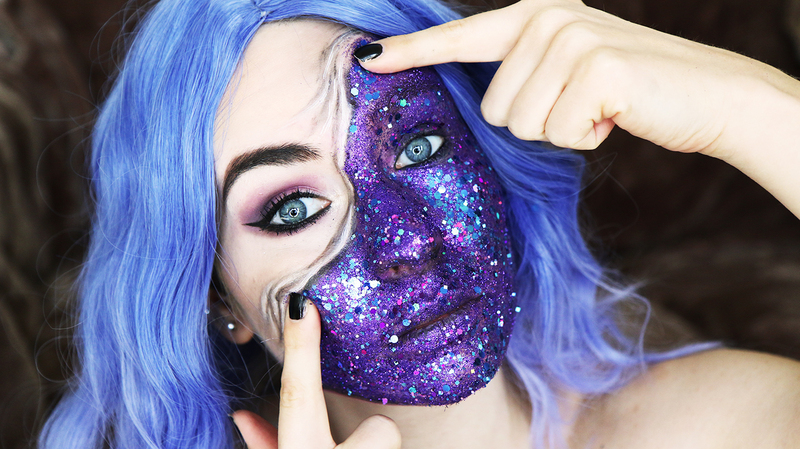 It’s a full on glam, galaxy-glitter, with pulled up skin detailing. This really makes an impact and was extremely fun to apply and so perfect for any Halloween parties or trick or treating this year. This was inspired by an image I found on Pinterest (here). I decided to create a step by step how-to video on how copy it as I couldn’t find one for this look online! 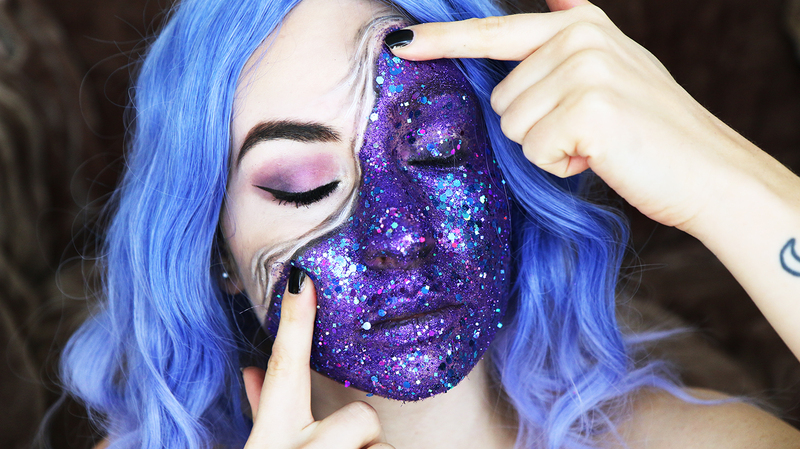 The premise is easy to create – a smokey purple eye on one side of your face, then cover the other side with face paint, load with glitter and then shade with eyeliners to create the wrinkled skin effect. I really hope you’ve enjoyed my Halloween tutorials this year (as much as I’ve loved creating them)! Lots of love and happy halloween, mwahaha. Previous Post Glam Skull Halloween Makeup Tutorial! Wow! I love this Halloween makeup 🙂 Wonderful post dear!